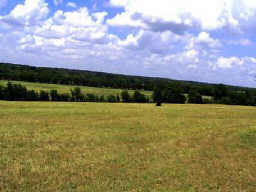 Tuscan Hills offers 20 to 71 acre tracts in the gently rolling hills of southern Grimes County. Tuscan themed estates nest secluded among the valleys and woods of this beautiful property for a unique and distrinctive retreat overlooking the future home of Tuscan Vineyards. Come and have your own vineyard in the gated community. Only 6 tracts will be offered for sale! Additional property available up to 244 +/- acres! Pre-Development Pricing! Call Now!